Perfect for a family of four or five, this suite has a bed and comfortable spaces for everyone including a private balcony. The bedroom can transform two twin beds into a Royal King and there is a great sitting area where the sofa that can be transformed into a double bed. The suite also shows off its full bathroom and tub, another half bath. This suite is spacious with a separate dressing area, a full bathroom with a tub and two sinks, and the ability to sleep four with two twin beds that can convert to a Royal King and a sofa that can work as a double bed in the living room space. The living room contains the sofa along with an entertainment center and a desk and a wraparound balcony outside. The Grand Loft Suite is not only big enough for the whole family of four, but it also offers great panoramic views and two levels of bedrooms and living spaces. The first floor of the suite is a living and dining room area where your sofa can turn to a double bed and the second floor holds the master bedroom with twin beds that can be made into a Royal King bed. Able to sleep up to four people, this Owner’s Loft Suite contains large living spaces, two split bathrooms on the first floor and a private bath and shower on the second floor for those staying in the master bedroom. This suite comes with a large private balcony where the whole family can gather for a snack. You will receive every amenity of a Junior Suite and more when using this suite as it has been made accessible for those in wheelchairs. The entry to the room has been made wider and automatic and the room also a lowered vanity and a wider entry to the bathroom. It includes more accessible amenities like a roll-in shower and a lowered vanity. Great for a couple wanting to get away, this suite contains two twin beds to convert to a Royal King as well as a spa-inspired bathroom with a frosted glass shower and another half bath for extra sink space. The suite is great for those wanting a private balcony and a corner settee for additional relaxation. 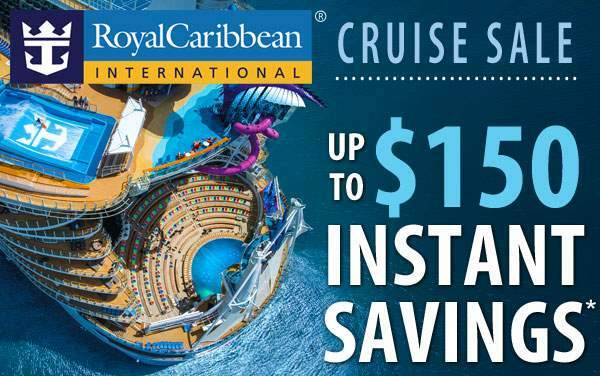 Whether you’re on the second floor or outside in the whirlpool on the private balcony, this two story stateroom offers great panoramic views inside an out. The suite sleeps up to 6 people with two sofas in the living spaces that convert to a double and queen bed, and two twin beds in the master bedroom that can also convert to a Royal King bed. With two twin beds that can become a Royal King, a sofa that can become a double bed, large closets, a full bathroom and a separate half bath, the suite can sleep up to four people. This suite offers plenty of dining space outside on the wrap around balcony and inside with a large dining table for the group to enjoy meals together. Your family will feel like royalty in this two bedroom, two bath suite with a wraparound balcony, outdoor dining space, and an entertainment center. The suite sleeps up to eight with two twin beds that can become a Royal King in both the master and second bedroom, and an additional two Pullman beds in the second bedroom. With two twin beds that will convert to a Royal king in the bedroom and a sofa turned into a double bed in the living area, this suite sleeps up to four people. The suite accommodates with a full bathroom with two sinks and a separate changing area. 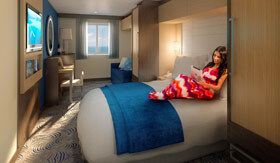 The Junior Suite comes with a private balcony that can also be used to connect with a Studio Interior Stateroom or an Ocean View Balcony Stateroom. The suite also sleeps up to four people comfortably with the option of turning two twin beds into a Royal King bed and a sofa that can convert into a double bed. For unlimited convenience for groups or families, this stateroom offers a common living area and two separate sleeping and bath areas. Most guests book these rooms together so they can also enjoy the balcony space together. 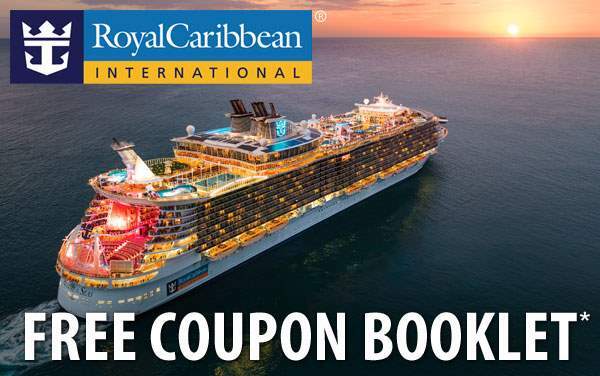 This stateroom offers two twin beds that will transform into a Royal King, a nice sofa for sitting and reading, a full bathroom and a private balcony. Although the room can sleep up to two people, the room is a single occupancy stateroom with a single full size bed, full bathroom, and a private balcony for the guest to enjoy. With an automatic and wider entryway, extra turning spaces, a fold-down shower bench a raised toilet and more, this stateroom offers the amenities for those that need the extra accessibility. The two twin beds in the room can be converted to a Royal King. 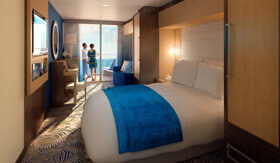 This luxurious stateroom offers great views from its private balcony. The room has two twin beds that can become a Royal King, a great sitting area and sofa, and a full bathroom. 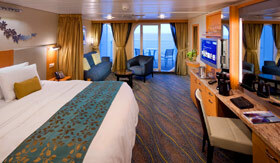 This stateroom has two twin beds that can become a Royal King, a great sitting area and sofa, and a full bathroom. You’ll also be impressed with the large private balcony. For convenience for groups or families, this stateroom offers a common living area and two separate sleeping and bath areas. Most guests book these rooms together. The room has two twin beds that can become a Royal King, a great sitting area and sofa, and a full bathroom. 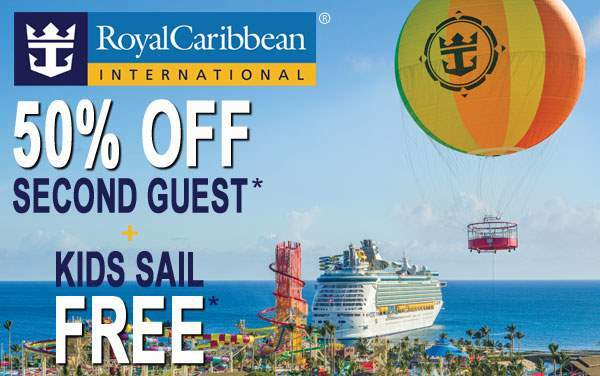 As your ship sails, you can enjoy the view from a lounge chair looking out the large panoramic window. Just a little smaller square footage than the superior ocean view, this stateroom is still large enough to enjoy all the same perks. With an automatic and wider entryway, roll-in shower, grab bars, a lowered vanity and more, this stateroom offers the amenities for those that need the extra accessibility. The two twin beds in the room can be converted to a Royal King and a large panoramic window for viewing. The ocean view stateroom offers a great view from the panoramic window from the sofa or the two twin beds that will convert to a Royal King. The room also offers a full bathroom for the guests. Book your room together and enjoy the virtual views of the scenery outside on your flat screen television with your friends or family in the common sitting area. You’ll also have two bedrooms and two bathrooms for your convenience. With a full bed and full bathroom, this stateroom can sleep up to two people. You can view real-time scenery from your flat screen television. 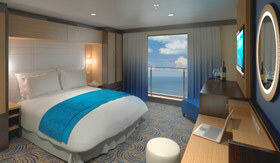 This stateroom offers floor to ceiling virtual real-time views of the ocean or the destination. The room also offers open bed frames, an automatic and wide entryway, hand-held shower heads, a lowered sink, and other amenities to assist those in wheelchairs. This stateroom offers floor to ceiling virtual real-time views of the ocean or the destination that you can enjoy from the sitting area. The bedroom area contains two twin beds that can be converted to a Royal King, and a full bathroom.